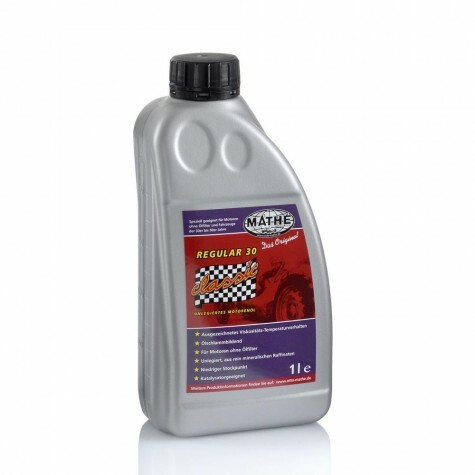 MATHÉ Classic Engine Oil Additive "The Long-term Protection"
MATHÉ Classic is an engine oil additive specifically developed for classic and vintage cars. It is used for optimal bridging of long downtimes. The addition of MATHÉ Classic to engine oil significantly increases the operational safety of engines of classic and vintage cars. It also ensures a long-term protection of the machine. 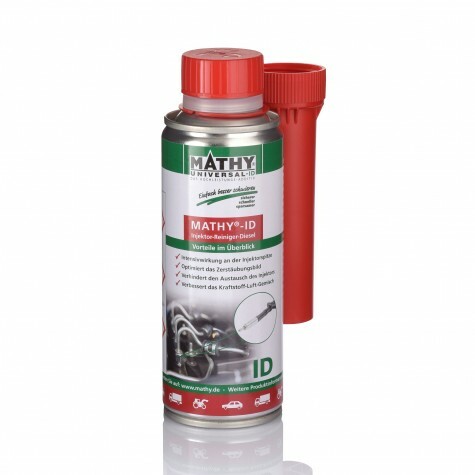 Thanks to its many years of successful use in racing cars, MATHÉ Classic is regarded as a representative of state-of-the-art additive technology. Its active components have especially been formulated for engines of pre-World War II classic cars and engines of classic and vintage cars of the years 1950 to 1970. 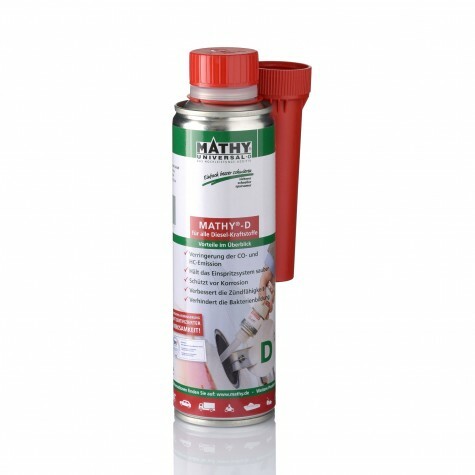 MATHÉ Classic is free of solids and can be used in all engine oils of the viscosity classes SAE 30 to 40. What are my benefits of using MATHÉ Classic Motor Oil Additive? MATHÉ Classic Motor oil additive reduces internal friction, lowers oil temperature, and reduces wear. Corrosion protection for long downtimes in the winter months is improved and prevents deterioration in storage. Engines lubricated with MATHÉ Classic Motor Oil Additive start up easily and breakdowns during seasonal operation can be minimized. 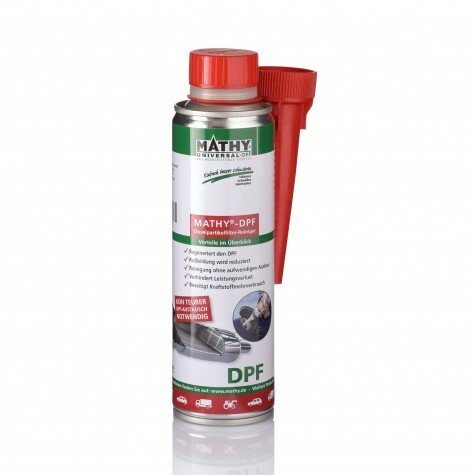 Is MATHÉ Classic Motor Oil Additive compatible with old seals in the engine? Yes, MATHÉ Classic Motor Oil Additive has no negative impact on rubber seals in classic car engines. The special formulation does not bring any aggressive substances into the motor oil and is neutral to seals. How do I properly use MATHÉ Classic Motor Oil Additive? We recommend a complete oil change at operating temperature. Then add 10% MATHÉ Classic Motor Oil Additive to 90% fresh classic engine oil. In what kind of engines can MATHÉ Classic Motor Oil Additive be used? 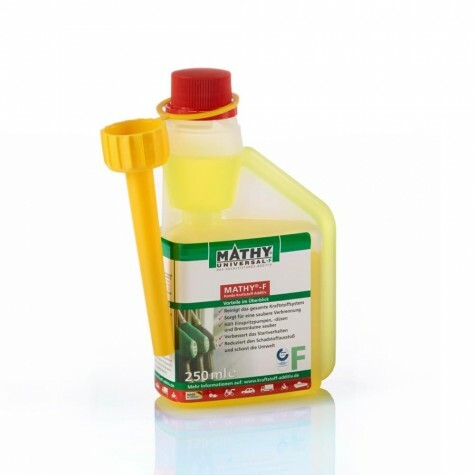 MATHÉ Classic Motor Oil Additive is suitable for all petrol and diesel engines in cars, trucks, construction machinery, ships, CHP, and all other engine-powered classic machines. MATHÉ Classic Engine Oil Additive is an engine oil additive that is specifically designed for vintage and classic cars and is used for optimum bridging of longer downtimes. It is particularly suitable for classic cars with oils of viscosity class SAE 30 to 40. 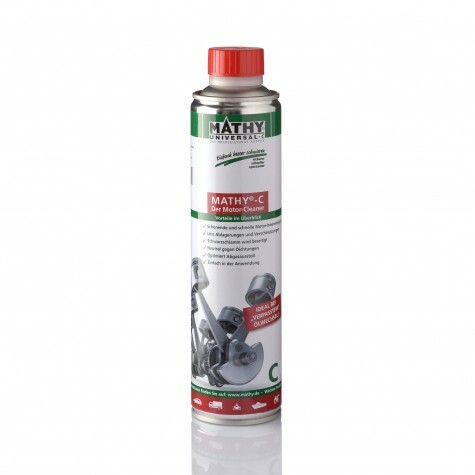 MATHÉ Classic Engine Oil Additive is considered to be the representative of the latest additive technology without containing solids. Mathé Oldie-Regular 30 is an unalloyed engine oil, specifically designed for vehicles without oil filter built between the 1920s to 1950s. It is made from high quality solvent raffinates. In order to improve the oil service life, oxidation-preventing additives are added. Mathé Oldie-Regular 30 is suitable as circulating oil in engines, gearboxes and hydraulics, as well as for roller and plain bearing lubrication..
Mathé HDC SAE 30 is a monograde engine oil specifically designed for classic gasoline and diesel vehicles manufactured until the mid-1970s and for stationary engines driven under constant conditions. In addition, it is ideally suited for construction machinery and agricultural units. Viscosity is selected according to manufacturers’ instructions. MATHÉ Chromjuwelen Motor Öl 20W-50 has particularly been developed for engines of modern classic cars (built between 1950 and 1970). Its viscosity characteristics ensure rapid engine oil circulation in the cold start phase, thus protecting critical surfaces from wear. It reduces sludge formation at low temperatures and prevents deposits at high temperatures. 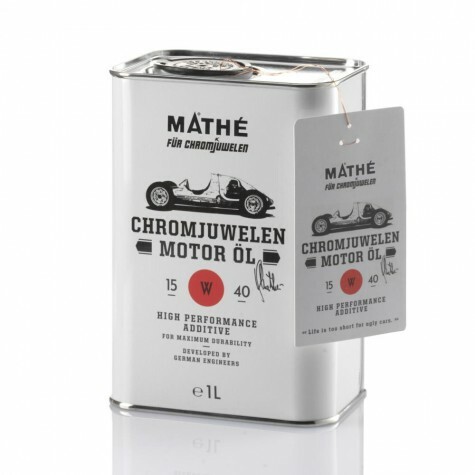 Mathé Chromjuwelen engine oil offers excellent emergency running properties and is the right choice for your classic car. It is also perfect for V8 engines. Chromjuwelen Motoröl 15W-40 is a mildly alloyed, multi-grade mineral oil that meets the requirements and standards of a 15W-40 oil used in engines built between 1970 and 1980. With the formulation of Mathé Classic, Chromjuwelen Motoröl 15W-40 ensures optimum wear and corrosion protection. In the cold start phase it ensures rapid engine oil circulation, reduces sludge formation at low temperatures and prevents deposits at high temperatures.